I have just found this video featured on the Elle website and I absolutely adore it! Karl Lagerfeld himself, has directed this black and white short film called “Public Garden” in a silent movie style! His intention of creating this film was to showcase the new Spring/Summer 2013 collection and the clothing worn is truly divine and above all “tres chic”! The video not only exhibits the collection beautifully but also is very witty and has a little story behind it! I strongly advice you to check it out- for me it was a very enjoyable 5 mins!- Enjoy! The reasons why Karl Lagerfeld is an absolute fashion god can be expressed by this image alone. This month Chanel hosted its annual fashion show in the enchanting ruins of Linlithgow in West Lothian, Scotland. This was the birthplace of Mary Queen of Scots and the traditional historic feel of the location was mirrored in Karl’s breath-taking collection. I also strongly admire the hair and makeup featured here as I think it very much compliments the stunning looks created. 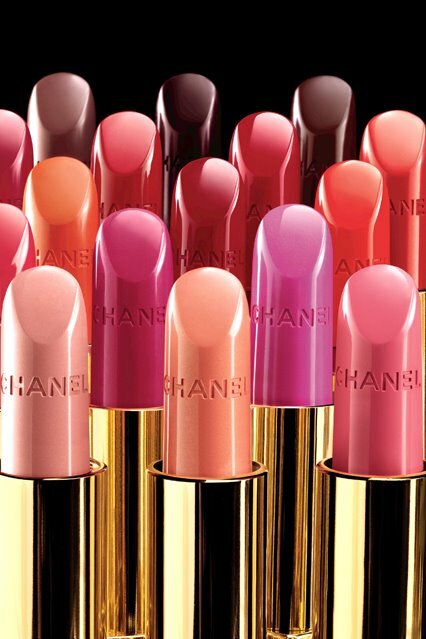 Image of the Day- Ooh Chanel! Absolutely loving this Chanel look hot off the catwalk!! The combination of this poofy bomber style jacket and high waisted skater style skirt in matching print and white trimming is incredible and the statement chunky pearl choker and bracelets really accentuate the whole outfit!! The strappy cross over open heels are very cutesy with a ballet shoe style and really add to the girly theme of this outfit!! Well done once again Karl!! Hope you like!! 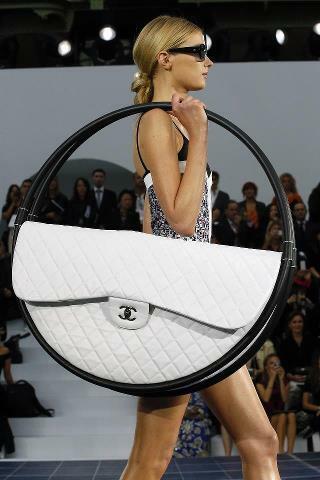 Chanel Hula Hoop Bag- Would you wear it? I have just come across this picture on the British Vogue Facebook page and I don’t think I’ve seen anything like it and I’m not sure what I think of it!! You never know it could become the new Marmite, you either love it or hate it!! However Karl has been very creative here in this creation and it still features the iconic monochrome colour scheme, quilting and Chanel logo!! What do you think?- Enjoy!! Each shade is absolutely lush…. Diane Kruger actress and former model looks beautiful in this baby blue Chanel number! I adore the addition of this black beret hat it looks very Francais Chic! Red lips and nails complete this gorgeous and classy look! Just a quick image of the day post- this is a beautiful picture of Keira Knightley with this stunning up do with red Chanel hairband!! I can’t get over how stunning she looks in this picture and would love to re-create this amazing catwalk worthy hair do!! Enjoy! !